ONTARIO, Calif. – Since opening its new office in the Inland Empire earlier this year, HNTB Corporation continues to expand its leadership role in Southern California. The firm was accepted for membership by Inland Action, a non-profit, non-partisan corporation of public spirited leaders who serve as catalysts for the economic well-being of the Inland Empire region. Inland Action is active in the areas of transportation, economic development, education, environment, healthcare, legislation and the future of the San Bernardino International Airport. Additionally, Saba serves on the Advisory Council of the Leonard Transportation Center and maintains memberships in the Inland Empire Chapter of WTS and the Business Development Association of the Inland Empire. From its local office, HNTB serves key regional transportation clients, including the California Department of Transportation – District 8, San Bernardino Associated Governments, Riverside County Transportation Commission, and the City of Ontario, among others. The firm has roots to the West since beginning work on Pasadena’s Arroyo Seco Bridge in 1914, the firm’s first year of operation, and has since been involved in some of the region’s most high-profile, complex infrastructure programs. HNTB’s many signature infrastructure projects in the West Division, which serves 30 clients in nine states, include San Francisco 49ers’ Levi’s Stadium, Interstate 405 Sepulveda Pass Improvements project, Seattle’s Sound Transit University Link light-rail and tunnel project, the Tom Bradley International Terminal Expansion for Los Angeles World Airports, and the “Green Build” expansion at San Diego International Airport. 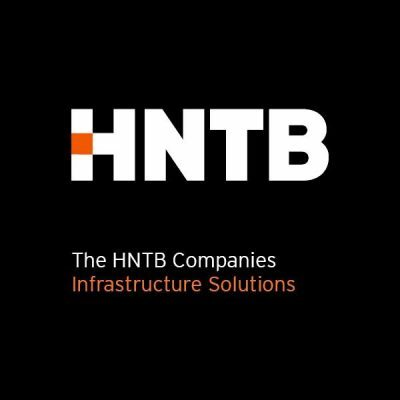 HNTB Corporation is an employee-owned infrastructure solutions firm serving public and private owners and contractors. HNTB’s work in California dates back to its founding in 1914. Today, HNTB continues to grow in size and service offerings to clients in California from eight office locations, currently employing more than 350 full-time professionals. With more than a century of service, HNTB understands the life cycle of infrastructure and addresses clients’ most complex technical, financial and operational challenges. Professionals nationwide deliver a full range of infrastructure-related services, including award-winning planning, design, program management and construction management. For more information, visit www.hntb.com.